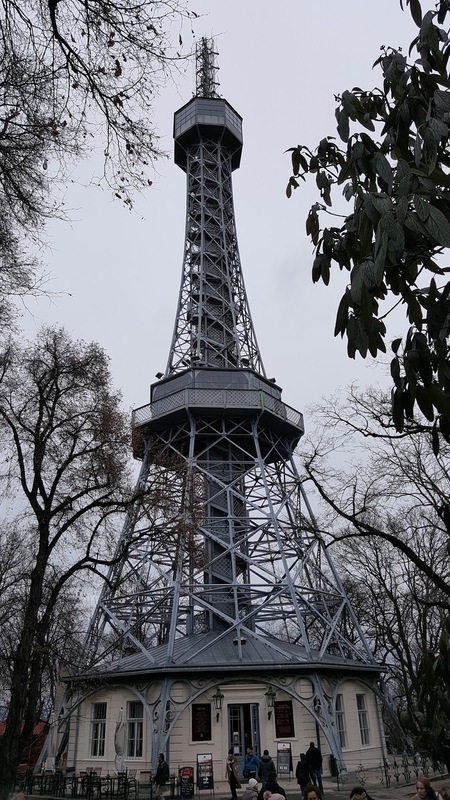 The Petrin Tower located in Petrin Hill Park is Prague's version of the Eiffel Tower allowing a panoramic view from the top. Once from here you walk to the tower it is easy to find just follow the crowds of people heading in one direction. You then have the option of taking the elevator to the top or walking up the stairs. My friend and I made the mistake of just asking for a ticket and were given a walking one. We both thought that's fine. There is a mid-section where you can admire the view as well as the view from the top of the tower. The walk to the middle section was easy no problem, however there are two sets of one way staircases and on the way up we made the mistake of continuing on the wrong staircase up resulting in us having to pass everyone making their way down. This wouldn't have been much of an issue but the higher you got the windier it became meaning you were basically being blown back as you were walking up. The view however once at the top was stunning and so worth the walk! You had a panoramic view all around Prague and it was a stunning shot with all the eclectic buildings and the river in between the old and new town. After we had our fix of the view and took countless photo shots we headed back down (on the right staircase). If the walk up was windy the walk down was worse as this time the wind was hitting you from behind almost forcing you to head down the stairs faster than you wanted. After our windy trek down we opted to go to the cafe at the bottom and have a cup tea and a piece of cake. 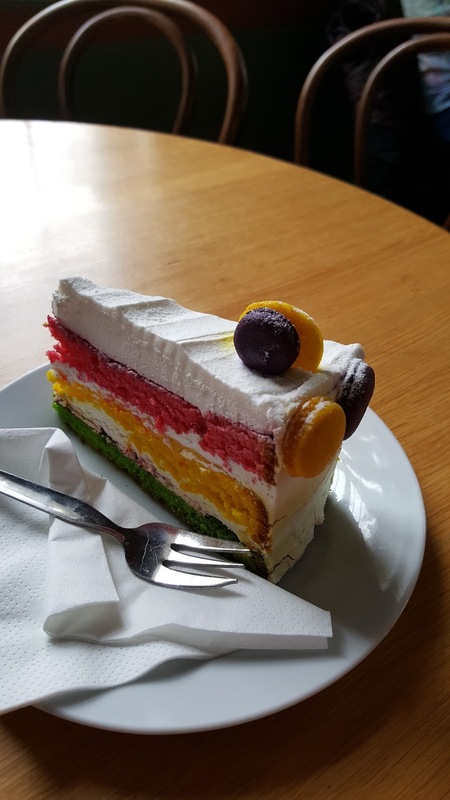 I had a slice of this Macaron cake and while I was unsure at first it was delicious! Along with this there are a few other sights up by the tower one example being the mirror maze. 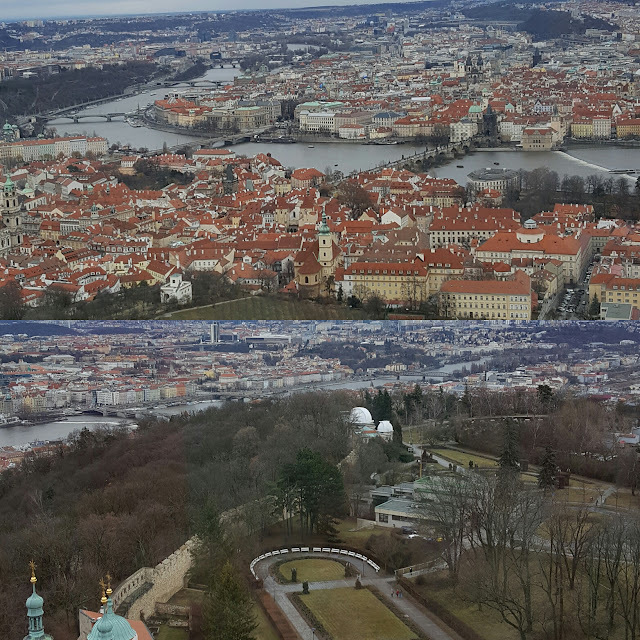 If your visiting Prague the Petrin Tower makes for a fun day out and if you're a student don't forget to use your student discount!